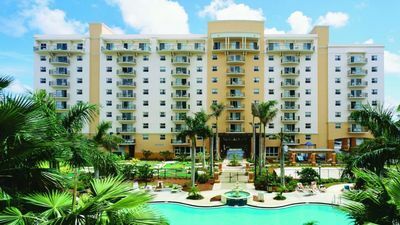 1BR, 1BA Pompano Beach Duplex – Close to Beaches, Golf, and Restaurants! 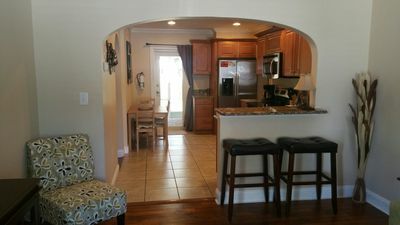 This Pompano Beach home is half of a 2-unit duplex (rent both sides to sleep 9!). 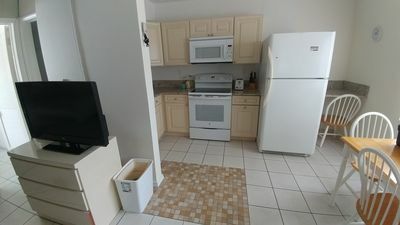 The 1BR, 1BA unit sleeps 4 with the addition of a queen-size pull-out sofa. 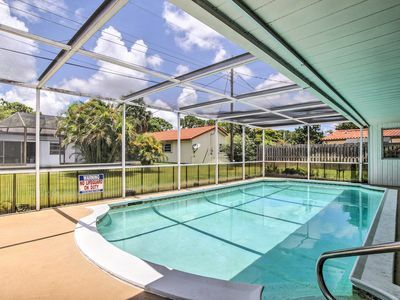 Close to everything with a lovely deck area, it’s the perfect home base for your Pompano Beach vacation! Park up 2 cars in the driveway, and get your vacation started right away thanks to our digital lock with a unique code only for your group (no keys required!). Step directly into the bright, colorful main living space with a sofa to seat 5. This sofa and also coverts to a queen-size pull-out bed to sleep 2 guests. The adjacent dining table seats 5 for vacation meals. There is a 50” TV with Roku and AT&T U-verse for the TV and WiFi connection. Tile floors throughout keep the space cool and inviting. 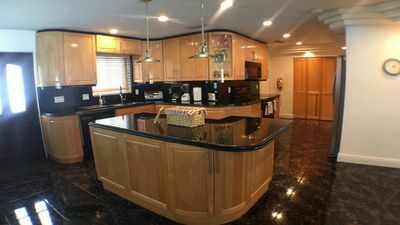 A full galley kitchen is updated with new countertops, cabinets, an electric range, and refrigerator/freezer, and microwave. From here, easily access the fenced outdoor space, including a deck. A gas grill, patio table, and chairs for 4 make the space BBQ-ready! This unit features one bedroom with a queen-size bed, end tables for your reading materials, a closet and a 42” flat-screen TV. The main bath is bright and clean, featuring inviting, neutral tile in the tub/shower combo and single vanity. Entry to the shared laundry is at the back of the home, where you’ll find a washer and dryer, as well as extra beach chairs, beach umbrella and a Pack & Play for little guests. This cozy Florida home is close to the fun and great for families! 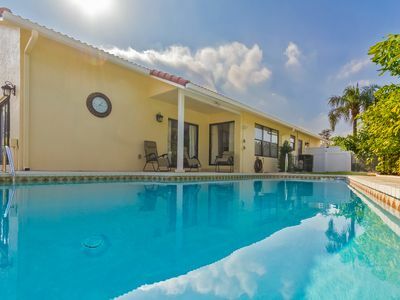 Just north of Fort Lauderdale, this home is close to pristine and family-friendly Pompano Beach, which has lifeguards, a splash pad for small children, and activities like diving, snorkeling and watersports. 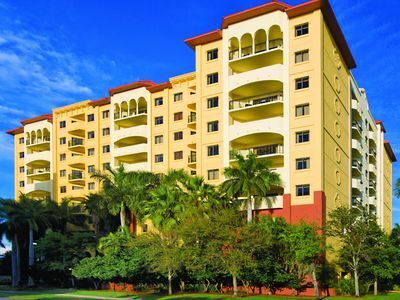 You're just a 1/2 mile away from Pompano Beach public 18-hole public golf course and clubhouse. 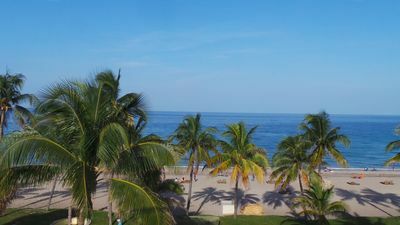 Take a walk on Pompano Pier for excellent fishing. For day drips, you are only a 30-minute drive to South Beach or north to Boca Raton. There’s also a variety of restaurants to choose from for dinners out, including The Rusty Hook Tavern, The Greek Taverna Table 2201, or Kin Asian Street Food, all close by in Pompano Beach! 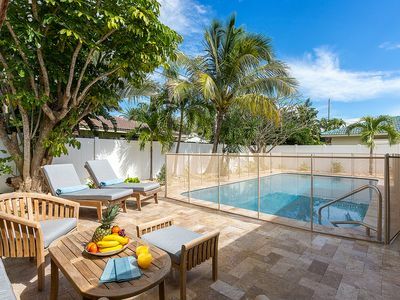 Best Location in Deerfield! Beach Block single home in the heart of it All. Beachfront! Direct Ocean! as Close as You Can Get to Dfb Pier!